Feel like I write so often about the importance and joy of following your dreams. There have been no better times in my life, than when I was chasing my own. There are many reasons why I can’t stop promoting the fine art of living your life while still going after what makes you tick. Life is about living, not just working. I almost didn’t hike the Colorado Trail way back in 1993. I was a total rookie and fear attempted to keep me home, working all summer. 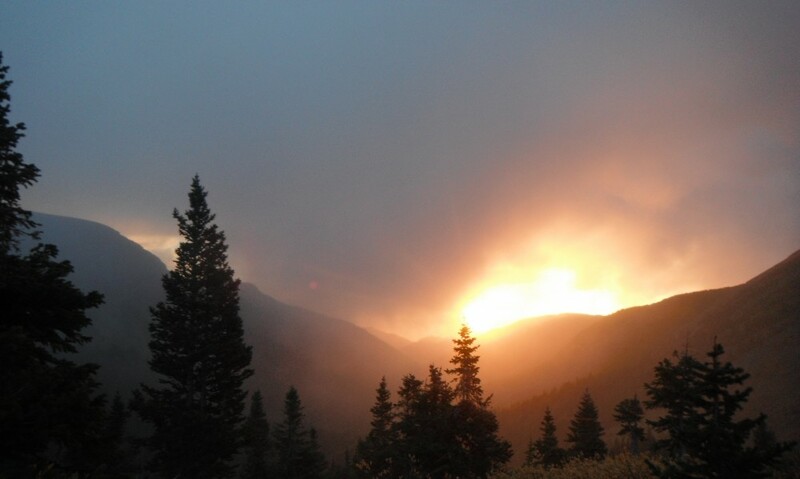 Instead I walked from Denver to Monarch Pass. I walked the rest to Durango a few years later. Then in 2001, I walked the whole thing. I learned so much on these adventures. I learned about myself, I learned about Trails, Mountains, Storms, Water, mostly I learned that it is always worth it. I almost didn’t make it to the 2011 Tour Divide. First off, I almost never signed up to do it. Fear was keeping me from getting out there and riding down the spine of this continent. I lost a job and a dog leading up to the 2nd Friday of June 2011. So many things went wrong leading up to it. Still I did make it to Banff. I did race the Divide and it was brutally hard, but it was perhaps the most amazing experience of my life. The reason, I was chasing a dream that I almost let go, a dream I had to fight and work so hard for. All that work and stress and pain, made the release of that ride so powerful, it still makes me shake. That is why I write this blog. Cause if there is even a chance that someone reads it and gets the energy and inspiration to get out there, I have achieved greatness. There is no greater gift to give, than giving someone the legs to get up and run. There are so many others out there that in turn, inspire me and countless others to get up, squash the fear, and chase our dreams. I am indebted to these amazing humans for every tiny glint of inspiration, it has saved my life many times over. Yesterday we lost a great man. Someone who lived, who chased his dreams and never gave up making them a reality. There is no way to repay the debt of all the energy that has been given to us, the only way is live out our dreams, to chase them down no matter how hard it is. To never give up or become bitter in our pursuit and to share the stoke with as many as we can. I am forever grateful. thanks, needed to read something like this….. Marshal, tough times eh? Fudge last night sucked. So glad I could return the favor, I studied your post about the divide like agreed student, made my first TD much better than it would have been. Thanks for reading and sharing! Well said as usual! I’ve been having motivational issues lately difficult to get out and ride/train. Last night’s news made it very difficult. But this morning I thought “What would Mike do?” So I went for a long ride on the Fatbike! Nothing like miles of clean fresh winter to mend the heart. so glad you got out for a ride, makes all the difference in the world! take care and thanks for reading!